Located by Arnarhóll Park in central Reykjavik, this stylish hotel features modern Nordic design, free internet access and a restaurant offering panoramic views. All rooms have a flat-screen TV. CenterHotel Arnarhvoll's rooms also include free wired internet access, tea/coffee facilities and a minibar. Restaurant Panorama offers great views of Faxafloi Bay and Esja Mountain. 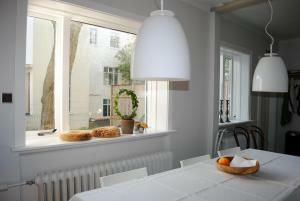 Guests can try traditional Icelandic food and international dishes. 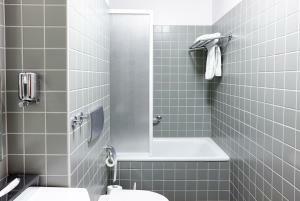 Leisure facilities at Arnarhvoll CenterHotel include a hot tub and sauna. The main shopping street, Laugavegur, is right around the corner. The Life of Whales sea safaris depart just 600 metres away. Þetta glæsilega hótel er innréttað í nútímalegum norrænum stíl en það er staðsett við Arnarhól í miðbæ Reykjavíkur og býður upp á ókeypis Internetaðgang og veitingastað með yfirgripsmiklu útsýni. Öll herbergin eru með flatskjásjónvarp. Herbergin á CenterHotel innifela einnig ókeypis LAN-Internetaðgang, te/kaffiaðbúnað og minibar.Þaksetustofan & barinn er staðsett á efstu hæð og býður upp á fullkomna umgjörð til að njóta drykkja og snarls með stórkostlegu útsýni í átt að Hörpu tónlistar- og ráðstefnuhúsi og fjöllunum. Tómstundaraðstaðan á Arnarhvoll CenterHotel innifelur heitan pott og gufubað.Laugavegurinn er rétt handan við hornið. Boðið er upp á hvalaskoðun í aðeins 600 metra fjarlægð. 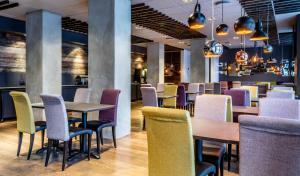 Located in Reykjavik's business district, this good-value hotel provides a free shuttle bus to the city centre. 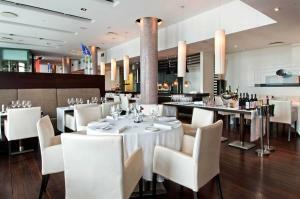 It offers a 5-star gourmet restaurant, popular breakfast buffet and helpful, knowledgeable staff. 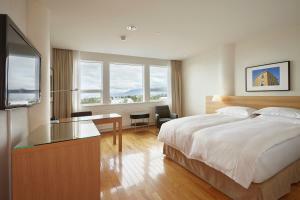 Hilton Reykjavik Nordica's bright rooms feature wooden floors, a flat-screen TV and tea/coffee facilities. Many offer views of the Akrafjall and Esja Mountains or Faxaflói Bay. The in-house VOX Restaurant specialises regional dishes such as Icelandic scampi, Norwegian king crab, Faroese scallops and Arctic char. International courses are also offered. All guests enjoy free gym access. Other facilities include 2 spa baths, an outdoor hot tub, a relaxation pool, 2 aroma steam rooms and a sauna. Exercise and yoga classes can be booked on site. Þetta Hilton-hótel er staðsett í viðskipahverfinu í Reykjavík og býður upp á 5-stjörnu sælkeraveitingastað, vinsælt morgunverðarhlaðborð og frótt og hjálpsamt starfsfólk. Herbergin á Hilton Reykjavik Nordica eru björt og búin viðargólfum, flatskjá og te- og kaffiaðstöðu. Mörg bjóða upp á útsýni yfir Akrafjall og Esjuna eða Faxaflóann.Á staðnum er veitingastaðurinn Vox sem sérhæfir sig í íslenskri og skandinavískri matargerð.Executive-setustofan á efstu hæð er með útsýni yfir Reykjavík. Gestir með aðgang að henni geta nýtt sér morgunverð sem og veitingar yfir daginn.Öllum gestum stendur til boða ókeypis aðgangur að líkamsræktarstöð. Meðal annarrar aðstöðu eru 2 nuddpottar, heitur pottur utandyra, slökunarlaug, 2 ilmgufuherbergi og gufubað. Það er hægt að bóka æfingar- og jógatíma á staðnum. 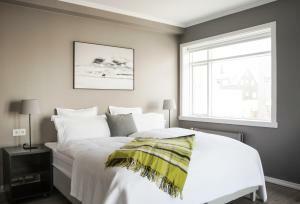 This hotel is set on one of Reykjavik’s oldest streets, Adalstraeti, 650 ft from Reykjavik Art Museum. It features a unique Viking exhibition center, plus in-room satellite TV and tea/coffee facilities. Hotel Reykjavik Centrum has both hotel rooms and self-service studios. All feature modern décor, fresh bathrooms and hardwood floors. Traditional Icelandic dishes and an extensive wine list are served at Fjalaköttur, Reykjavik Centrum’s award-winning restaurant. Uppsalir is the hotel’s own cafe bar. The hotel was built above the ruins of a Viking-era longhouse. An on-site exhibition center now honors this historic feature. It also displays Iceland’s oldest human remains, dating back to 870 AD. Hótelið er staðsett við eina af elstu götum Reykjavíkur, Aðalstræti, 200 metra frá Listasafni Reykjavíkur. Það býður upp á einstaka Víkinga-sýningu ásamt gervihnattasjónvarpi og te/kaffiaðbúnað.Hotel Reykjavik Centrum er bæði með hótelherbergi og stúdíó með eldunaraðstöðu. Gistirýmin innifela nútímalegar innréttingar, nýleg baðherbergi og viðargólf. Hefðbundnir íslenskir réttir og yfirgripsmikill vínlisti er í boði á Fjalakettinum, verðlaunuðum veitingastað Reykjavik Centrum. Uppsalir er kaffibar hótelsins. Hótelið var byggt yfir rústir langhúss frá tímum víkinganna. Á staðnum er sýningarmiðstöð sem heiðrar þennan sögulega eiginleika. Hún sýnir einnig elstu jarðnesku leifar á Íslandi sem eiga rætur sínar að rekja til ársins 870 e. Kr. This good-value hotel is a short walk from Iceland’s largest swimming pool, Laugardalslaug, and Reykjavík’s biggest shopping centre, Kringlan. Its spacious rooms offer flat-screen TVs, refrigerators and tea/coffee facilities. Tastefully decorated in neutral colours, Arctic Comfort Hotel’s rooms feature historical photos and either wooden or carpeted floors. There are 2 free internet computers in the lobby, while a free Wi-Fi connection can also be accessed there. The hotel's popular breakfast buffet provides a solid start to the day. 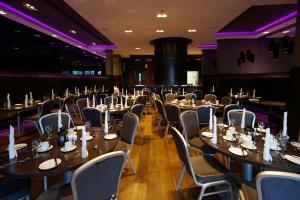 Guests can relax with a drink in Arctic Hotel’s lounge or bar, and staff can recommend or book local restaurants. Arctic Comfort is only a 5-minute bus ride from the city centre. Reykjavík Zoo and the Botanical Gardens are just around the corner. Þetta kjara hótel er í stuttri göngufjarlægð frá stærstu sundlaug Íslands, Laugardalslauginni og stærstu verslunarmiðstöð Reykjavíkur, Kringlunni. Í rúmgóðu herbergjunum er flatskjásjónvarp, ísskápur og te/kaffi aðstaða. Herbergin á Arctic Comfort Hotel eru smekklega innréttuð í hlutlausum litum en þau eru annaðhvort með viðargólf eða teppalögð gólf en þar er einnig að finna sögulegar ljósmyndir.Það eru tvær ókeypis internettengdar tölvur í anddyrinu og einnig er boðið upp á ókeypis Wi-Fi internet. Vinsælt morgunverðarhlaðborð hótelsins er góður grunnur fyrir daginn. 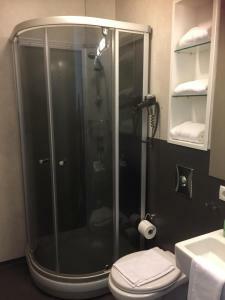 Gestir geta slakað á með drykk í setustofunni á Arctic Hotel eða á barnum og starfsmenn geta mælt með eða pantað borð á veitingastöðum. Arctic Comfort er í aðeins 5 mínútna strætófjarlægð frá miðborginni. Húsdýra- og grasagarðarnir eru rétt handan við hornið. Situated just off Laugavegur, Reykjavik's main shopping street, this hotel offers rooms with free wired internet, satellite TV and a minibar. Several dining and nightlife options are within close walking distance. 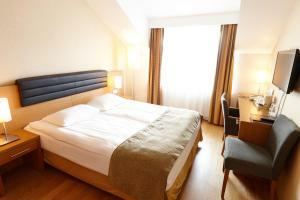 Rooms at CenterHotel Klopp all feature wooden floors and modern Nordic-style décor. A coffee/tea maker is also available. Many have impressive views of the bay and nearby mountains. The breakfast buffet is served in the hotel's reception area. Knowledgeable staff can recommend nearby restaurants for other meals. They will also assist with tour planning and suggest area attractions. Klopp CenterHotel is a 45-minute drive from Keflavík International Airport. About 10 minutes’ walk away is Reykjavik's harbour, where the Life of Whales sea safari departs. Hótelið býður upp á herbergi með ókeypis LAN interneti, gervihnattarsjónvarpi og minibar en það er staðsett rétt við Laugaveg. Mikið af veitinga- og skemmtistöðum eru í göngufjarlægð.Herbergin á CenterHotel Klöpp eru öll með viðargólfi og nútímalegum innréttingum í norrænum stíl. Einnig eru þau með te/kaffi aðbúnaði. Mörg herbergjanna eru með tilkomumikið útsýni yfir flóann eða nærliggjandi fjöll. Morgunverðarhlaðborðið er borið fram við móttökuna. Kunnáttumikið starfsfólkið getur mælt með nálægum veitingastöðum fyrir aðrar máltíðir. Það mun einnig aðstoða þig við að skipuleggja og stinga upp á skoðunarferðum á áhugaverða staði. Klöpp CenterHotel er í 45 mínútna akstursfjarlægð frá Keflavíkurflugvelli. Það er um það bil 10 mínútna ganga að Reykjavíkurhöfn þar sem hvalaskoðunarferðir leggja úr höfn. 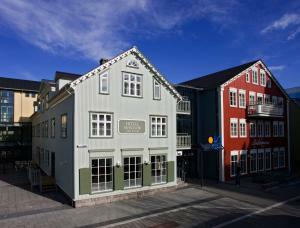 Located 10 minutes’ walk from Reykjavik's city centre, this hotel offers free WiFi and free on-site parking. Panoramic city views can be enjoyed throughout the hotel, especially from the rooftop restaurant Grillid. 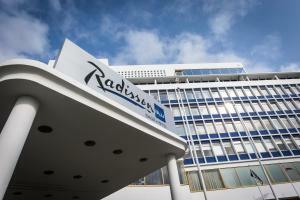 Radisson Blu Saga Hotel’s modern and stylish guest rooms feature satellite TV, a work desk and ironing facilities. Some rooms include a Nespresso coffee machine and free premium movies. Additional services at this hotel include a hotel bar with a cocktail menu, hair & beauty salon and fitness centre. The National Museum of Iceland is a few minutes’ walk from Radisson Blu, while Keflavik International Airport is a 45-minute drive away. Hótelið býður upp á ókeypis WiFi og bílastæði en það er staðsett í 10 mínútna göngufjarlægð frá miðbæ Reykjavíkur. Frá hótelinu er víðáttumikið útsýni, sérstaklega frá þakveitingastaðnum Grillinu. Herbergin á Radisson Blu Saga Hotel eru nútímaleg og stílhrein, með gervihnattasjónvarpi, skrifborði og straubúnaði. Í sumum herbergjum er einnig að finna Nespresso-kaffivél og ókeypis aðgang að úrvals kvikmyndum.Á hótelinu er einnig að finna bar með kokteilalista, hár- & snyrtistofu og líkamsræktarstöð.Þjóðminjasafnið er í stuttri göngufjarlægð frá Radisson Blu en Keflavíkurflugvöllur er í 45 mínútna akstursfjarlægð. This stylish hotel is 1.2 miles from Reykjavik city centre and its largest outdoor swimming pool, Laugardalslaug. It offers a free shuttle bus to the city 3 times a day. 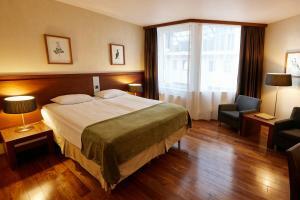 Grand Hotel Reykjavik’s spacious rooms have satellite TV, tea/coffee facilities and a small fridge. Some rooms offer views of the city or Atlantic Ocean. Leisure options at Grand Hotel include a spa and fitness centre. Guests can relax in the sauna or work out in the gym. Free WiFi is available throughout. Staff can recommend attractions such as the 83 feet high Perlan dome, which has a popular viewing deck. 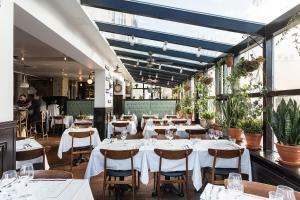 Grand Restaurant offers fresh Icelandic seafood and international dishes. Þetta nýtískulega hótel er staðsett í 2 km fjarlægð frá miðbæ Reykjavíkur og Laugardalslauginni. Það býður upp á ókeypis ferðir í miðbæinn 3 sinnum á dag. Rúmgóð herbergin á Grand Hótel Reykjavík eru með gervihnattasjónvarp, te/kaffiaðstöðu og lítinn ísskáp. Sum herbergin bjóða upp á borgar- eða sjávarútsýni. Afþreyingarmöguleikar á Grand Hotel fela í sér heilsulind og líkamsræktaraðstöðu. Hægt er að taka því rólega í gufubaði eða stunda líkamsþjálfun í líkamsræktaraðstöðunni. Ókeypis Wi-Fi Internet er í boði hvarvetna. Starfsfólkið getur mælt með áhugaverðum stöðum á borð við Perluna þar sem finna má vinsælan útsýnispall. Grand Restaurant býður upp á ferskt íslenskt sjávarfang og alþjóðlega rétti. 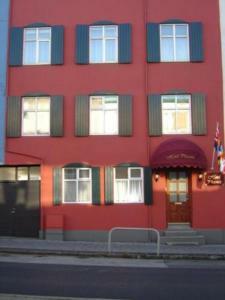 Located in central Reykjavik, 150 yards from Laugavegur Shopping Street, is Fosshótel Rauðará. 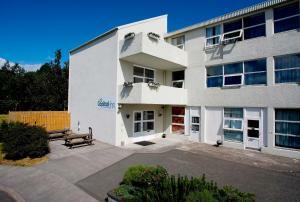 It offers free parking, a 24 hour reception and rooms with WiFi access. 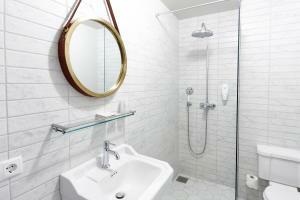 All rooms at Fosshótel Rauðará include private bathrooms with bath or shower facilities. 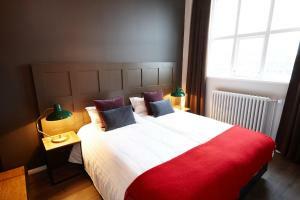 Each room has a satellite TV and tea and coffee facilities. A continental breakfast is served every morning. The hotel bar and cocktail lounge is the perfect setting for a relaxing drink in the evening. The Church of Hallgrimur is located less than 0.6 miles from the hotel. Klambratun Park is a 5-minute walk away. Fosshótel Rauðará er staðsett í miðbæ Reykjavíkur, í 150 metra fjarlægð frá Laugaveginum. Boðið er upp á ókeypis bílastæði, sólarhringsmóttöku og herbergi með ókeypis WiFi.Öll herbergin á Fosshótel Rauðará eru með sérbaðherbergi með baðkari eða sturtuaðstöðu. Öll herbergin eru með gervihnattasjónvarp og te/kaffiaðbúnað.Léttur morgunverður er framreiddur á hverjum morgni. Barinn og kokkteilsetustofan á hótelinu eru hinn fullkomni staður til að slaka á með drykk á kvöldin. Hallgrímskirkja er staðsett í innan við 1 km fjarlægð frá hótelinu. Klambratún er í 5 mínútna göngufjarlægð. Located only 500 metres from the main shopping street, Laugavegur, this charming guesthouse provides good-value accommodation next to the Hallgrímskirkja Church. Guests have access to free Wi-Fi and a shared kitchen. 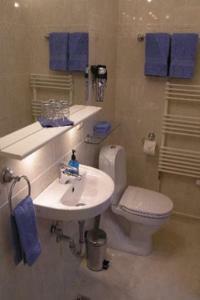 The rooms of LOKI 101 Guesthouse have shared bathroom facilities. All rooms have wooden flooring and a work desk, while some also feature a balcony. A simple breakfast buffet is served daily at LOKI 101. 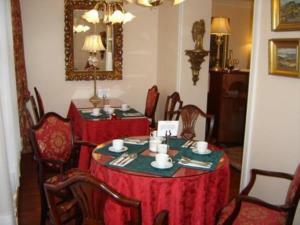 The breakfast room overlooks the peaceful garden. Restaurants, cafés and pubs are only steps away. Þetta heillandi gistiheimili býður upp á gistingu á góðu verði en það er staðsett við hliðina á Hallgrímskirkju í aðeins 500 metra fjarlægð frá Laugavegi. Gestir hafa aðgang að ókeypis Wi-Fi interneti og sameiginlegu eldhúsi. Herbergin á Loki 101 Guesthouse eru með sameiginlega baðherbergisaðstöðu. Öll herbergin eru með viðargólf og skrifborð og sum eru einnig með svalir. Boðið er upp á einfalt morgunverðarhlaðborð daglega á Loki 101 frá júní til ágúst. Morgunverðarherbergið er með útsýni yfir friðsælan garðinn. Veitingastaðir, kaffihús og barir eru nokkra skrefa fjarlægð frá gistiheimilinu. These modern, luxury apartments are in central Reykjavík’s popular 101 District. Each one has free Wi-Fi and a flat-screen TV with a DVD player. Car rentals can also be arranged. Colorful interiors, designer furniture and hardwood floors are standard at the Reykjavik4You. Kitchen facilities include an electric stove, a microwave and a coffee brewer. 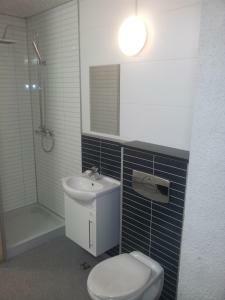 Each apartment includes a free pre-loaded mobile phone for local calls, and some have a spa tub and balcony. Hallgrímskirkja Church and the Einar Jónsson Museum are both within a 5-minute walk of Reykjavik4You Apartments. Whale watching safaris depart about a 20-minute walk from the apartments. The staff can book sightseeing tours or provide guests with local, insider tips. Shops, bars and restaurants are easily accessed from the Reykjavik4You. In central Reykjavik, Einholt features stylish studio apartments with a kitchenette, flat-screen TV and free Wi-Fi internet. The main shopping street, Laugavegur, is 320 yards away. Einholt's bright, fresh apartments are decorated in a minimalist, modern style with hardwood floors. All have a microwave, stove and tea/coffee-making facilities. Some include a DVD player. Einholt Apartments is staffed during the day. At all other times, staff can be reached via the lobby phone. A free internet computer is also found in the lobby. Einholt er staðsett í miðbæ Reykjavíkur og býður upp á nýtískulegar stúdíóíbúðir með eldhúskróki, flatskjásjónvarpi og ókeypis Wi-Fi Interneti. Laugavegurinn er í 300 metra fjarlægð.Björtu, fersku íbúðirnar á Einholti eru innréttaðar í nútímalegum naumhyggjustíl með harðviðargólfum. Allar eru með örbylgjuofn, helluborð og te/kaffiaðbúnað. Sumar íbúðirnar innifela DVD-spilara. Einholti Apartments eru mannaðar yfir daginn. Hægt er að ná í starfsfólkið á öllum öðrum tímum í gegnum símann í móttökunni. Ókeypis Internettengd tölva er einnig í boði í móttökunni. 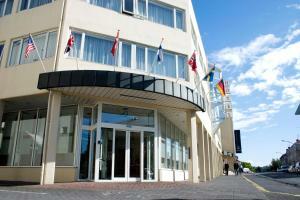 This hotel lies on Reykjavik's main street Laugavegur, 250 metres from the waterfront promenade. 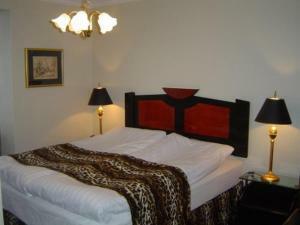 It offers an intimate setting and tastefully designed rooms. Both in-room Wi-Fi and parking are free. Each individually decorated guest room at Hotel Phoenix features classic décor and furnishings. Satellite TV, a seating area and private bathroom are also included. During nice weather, guests can relax on the terrace in Phoenix's garden. The 24-hour front desk staff will gladly recommend nearby restaurants. Sightseeing tours can also be booked on site. The Hlemmur Bus Stop is only 100 metres away. Reykjavik Art Museum is a 5-minute walk away from the hotel. Hotel Phoenix er staðsett á Laugaveginum í 250 metra fjarlægð frá sjávarsíðunni. Í boði er vingjarnlegt andrúmsloft og smekklega hönnuð herbergi. Bílastæði eru ókeypis. Sérinnréttuðu herbergi Hotel Phoenix innifela klassískar innréttingar. Gervihnattasjónvarp, setusvæði og sérbaðherbergi er einnig í boði.Þegar veður er gott geta gestir slakað á veröndinni í garði Phoenix. Starfsfólk sólarhringsmóttökunnar mun góðfúslega mæla með nálægum veitingastöðum. Skoðunarferðir er einnig hægt að bóka á staðnum. Hlemmur er aðeins í 100 metra fjarlægð. Listasafn Reykjavíkur Hafnarhús er í 5 mínútna göngufjarlægð frá hótelinu. 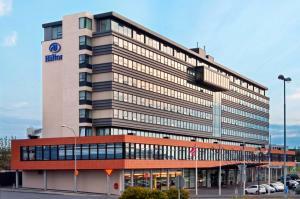 This budget hotel is within 15 minutes' walk of Reykjavik's Kringlan Shopping Centre and Perlan viewing dome. It offers free Wi-Fi and free private parking, plus bicycle and scooter rentals. 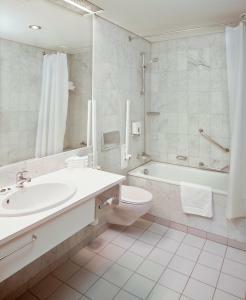 Capital-Inn's spacious rooms have a washbasin and either private or shared bathrooms. Some have a TV, while irons and safes can be borrowed at reception. 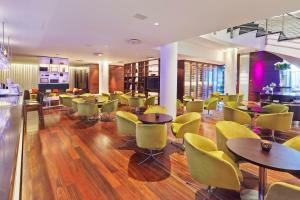 Capital's lounge offers a large flat-screen TV with multiple channels, a DVD player and a surround sound system. The shared kitchen has ovens, microwaves and a large fridge. Communal laundry facilities are also available. The inviting geothermal seawater at Nauthólsvík Beach is a short walk away, as are bars and restaurants. Staff are always willing to make recommendations or book tours for guests. Þetta lággjaldahótel er í innan við 15 mínúta göngufjarlægð frá Kringlunni og Perlunni. Þar er boðið upp á ókeypis Wi-Fi og bílastæði, auk reiðhjóla- og vespuleigu. Rúmgóð herbergi Capital-Inn eru búin vask og annað hvort sér- eða sameiginlegu baðherbergi. Í sumum herbergjunum er sjónvarp, en straujárn og öryggishólf má leigja í móttökunni. Setustofan á Capital býður upp stórt flatskjásjónvarp með mörgum stöðvum, DVD spilara og hljóðkerfi. Í sameiginlegu eldhúsinu er að finna ofna, örbylgjuofna og stóran ísskáp. Sameignarþvottahús er einnig til staðar. Aðlaðandi ströndin við Nauthólsvík er í stuttri göngufjarlægð sem og barir og veitingastaðir. Starfsmenn eru alltaf tilbúnir til þess að mæla með áhugaverðum stöðum eða bóka ferðir fyrir gesti. 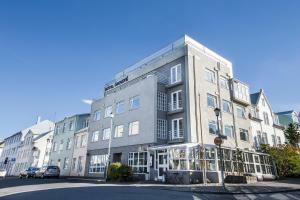 Hotel Odinsve is 400 metres from Laekjartorg Square in central Reykjavik. It offers free Wi-Fi internet. All rooms have satellite TV, hardwood floors and a tea/coffee maker. 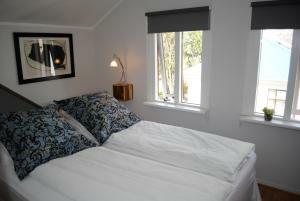 Hotel Odinsve's rooms also have luxury duvets and pillows by Kronborg. Some rooms offer city views. Odinsve's facilities include a terrace, a café bar and a 2nd floor balcony offering city views. Snaps Restaurant is an on-site bistro serving Danish food for lunch and dinner. Reykjavik's main shopping street, Laugavegur, is just 200 metres from Odinsve Hotel. Hótel Óðinsvé er í 400 metra fjarlægð frá Lækjartorgi í miðbæ Reykjavíkur. Það býður upp á ókeypis Wi-Fi internet. Öll herbergin eru með gervihnattasjónvarp, harðviðargólf og te/kaffi aðstöðu. Herbergin á Hótel Óðinsvé eru með lúxus sængur og kodda frá Kronborg. Sum herbergin bjóða upp á borgarútsýni. Hótel Óðinsvé býður upp á verönd, kaffibar og svalir á annarri hæð sem er með útsýni yfir borgina. Bístró Snaps á staðnum býður upp á danskan matseðil í hádegi og á kvöldin. Laugavegurinn er aðeins 200 metra frá Hótel Óðinsvé. 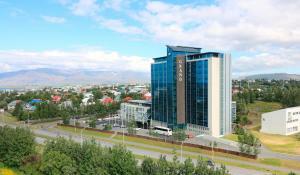 Fosshotel Baron has a central yet quiet location, within a few minutes' walk of Reykjavik's main street, Laugavegur, and the waterfront promenade. 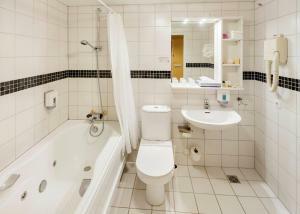 It offers en suite rooms and apartments and a generous breakfast buffet. 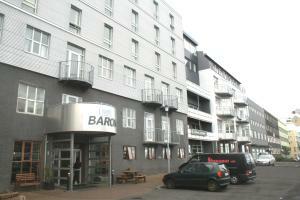 All of Baron's accommodation options are equipped with satellite TV and tea/coffee facilities. The 2-bedroom apartments feature a small kitchenette. Some rooms have elegant late 1800s-style décor, while others offer views of the Atlantic Ocean. The breakfast buffet includes freshly baked bread, make-your-own waffles and a wide variety of fish. Drinks and snacks are available in the bar. Staff can help arrange excursions to attractions such as the Blue Lagoon, Gullfoss and the Geysir. On-site facilities include a free internet computer in the lobby. Within 10 minutes' walk is a variety of shops, bars and restaurants, as well as whale watching excursions. The shuttle bus for Keflavik Airport stops right outside the hotel. Free public parking spaces are found nearby. Fosshótel Barón er staðsett miðsvæðis á hljóðlátum stað, í nokkurra mínútna göngufjarlægð frá Laugaveginum og sjávarsíðunni. Boðið er upp á en-suite herbergi og íbúðir ásamt ríkulegu morgunverðarhlaðborði. Allir gistivalkostir Baron eru búnir gervihnattasjónvarpi og te/kaffi aðbúnaði. Tveggja svefnherbergja íbúðirnar eru með litlu eldhúsi. Sum herbergin eru með glæsilegum 18. aldar innréttingum, á meðan önnur bjóða upp á útsýni yfir Atlantshafið.Morgunverðarhlaðborðið felur í sér nýbakað brauð, vöfflur og mikið úrval af fiski. Boðið er upp á drykki og snarl á barnum. Starfsmenn geta aðstoðað við að skipuleggja ferðir á áhugaverða staði eins í og Bláa Lónið og að Gullgoss og Geysir. Annar aðbúnaður felur í sér ókeypis nettengda tölvu í móttökunni.Í innan við 10 mínútna göngufjarlægð er úrval verslana, bara og veitingastaða, ásamt hvalaskoðunarferðum. Flugrútan út á Keflavíkurflugvöll stoppar fyrir framan hótelið. Ókeypis almenningsstæði eru nálægt.